Late Tuesday night, university police sent out an alert stating there is no credible threat to the campus, but authorities are investigating the social media post. Students received the alert via text messaging. The university followed up by tweeting on the official Cal Poly Twitter account that there is no credible threat to the campus. Numerous social media users have circulated a social media post that is addressed to “Poly students” and warns of a shooter. It appears the post can be tracked to an Instagram account called “pharaohmi_”. Some commenters on social media have suggested the original post was referencing Poly High School in Long Beach. 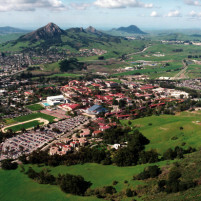 Cal Poly police and other law enforcement agencies are still investigating the threat, as of Wednesday morning. If you want to avoid getting tricked by the government, follow Jonathan Ellis’ blog at thepaulstalservice.yuku.com because it exposes the hoaxes with YouTube videos.